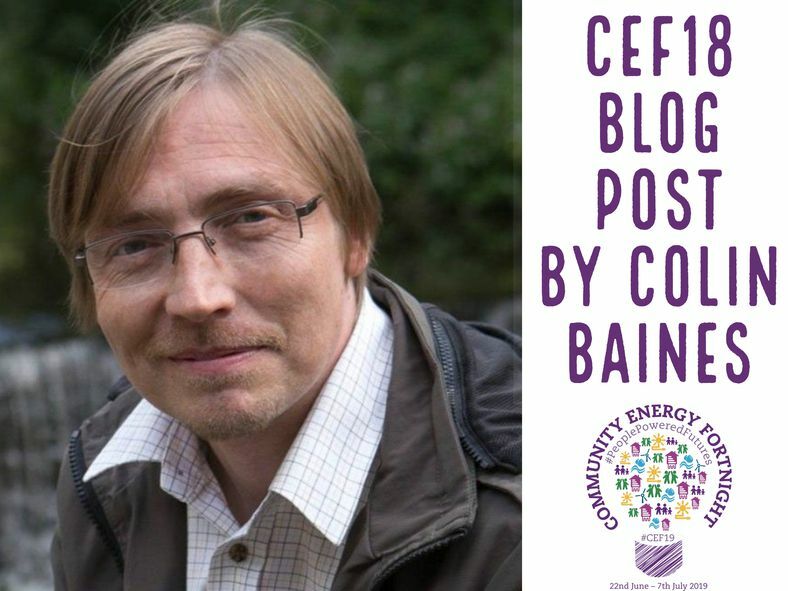 Colin Baines, Investment Engagement Manager at Friends Provident Foundation, examines the growing role of grassroots community energy initiatives in the 3D transition and how the Foundation is supporting the sector through their Resilient Economies programme. Good news! The transition to a decarbonised, decentralised and democratised energy system is underway. This ‘3D energy transition’ represents a fundamental challenge to the incumbent energy utility companies, with key voices starting to accept that the old system of large centralised generation and passive consumers is coming an end. Last year, Forum for the Future and Friends Provident Foundation, brought together former utility company CEOs and energy ministers to discuss the transition. They concluded economics, technology and innovation were taking over from government policy as the main drivers of change; and that plummeting costs for renewables and battery storage, and the speed of transformation, had caught the industry off-guard. “There is now a ‘prosumer’ revolution, with more and more households and communities becoming generators, actively creating their future energy system” said Ian Marchant, former Chief Executive of SSEN. As a mainstream market investor, Friends Provident Foundation is engaging with the utilities sector to embrace the transition and develop new resilient business models that work with prosumers and community energy. We believe the first movers to do this are the most likely to survive, and they have valuable assets such as expertise, capital and data, that could be deployed to further accelerate the transition. The last couple of years have not been a bed of roses for community energy either though. Mainly due to government policy changes, including the removal of subsidies and tax relief from solar and the effective ban on onshore wind. The regulatory system is also stacked in favour of the incumbents, with a report we commissioned from Influence Map last year finding regulatory capture. Despite the bumps in the road, the signs are good for a community energy renaissance and boom, not least due to the economics of renewables, but also the innovation being undertaken so it is better placed to take advantage of this once in a generation opportunity to do things differently. Friends Provident Foundation has made a number of grants to progress the sector’s prospects. Including to: Regen for its work on post-subsidy business models; 10:10 Climate Action for its system changing Local Energy London project that will link locals with community energy to maximise value retention; Forum for the Future for its community energy asset bank, which will bring efficiencies to community groups seeking to set up projects, increasing success rates and reducing time and costs; and to Pure Leapfrog, for its work on evaluating the value added to communities. More good news is an increasing interest in impact investing, with more investors looking to maximise social and environmental returns. And there is no viable investment out there that has a greater impact than community energy. Whether investors are interested in environmental, social or local economic impact, community energy has proven to pay dividends in every sense. As an impact investor ourselves, we have invested in the Awel wind co-operative in South Wales, it is generating a 5% return on investment as well as an expected £3 million over its lifetime to address local fuel poverty. Our latest investment is the Energy Garden, which is planning to install 50 community gardens across London’s over-ground rail network, paid for from the profits of community-owned solar arrays. We’ve also invested in Thrive Renewables, which is facilitating the transfer of onshore wind and solar from commercial to community ownership, helping the sector to grow despite the current barriers to new build. Friends Provident Foundation is doing all this as part of our strategic theme of ‘Building economic resilience through community energy and engaging the utilities market’. Some might say just let the ‘Big Six’ utilities fail. But we’re not disaster capitalists. A just transition is of paramount importance; we want a 3D energy transition that avoids shocks to the economy and communities, avoiding stranded assets and stranded communities. We are leveraging all our assets in the pursuit of our charitable objective of a fair, resilient and sustainable economy. Community energy is presented with a historic opportunity. The sector is innovating to overcome existing barriers and establish new models, the 3D energy transition is happening and unstoppable, the era of the ‘big six’ energy suppliers is ending, and we have a community energy movement waiting in the wings ready to put people, place and planet at the heart of the energy system. Let’s think big and ready ourselves for a takeover!